Synopsis: Simon Spier keeps a huge secret from his family, his friends, and all of his classmates: he’s gay. When that secret is threatened, Simon must face everyone and come to terms with his identity. Review: I was recently reading a book about the impact of John Hughes and The Brat Pack on the generation of teens that grew up in the mid ‘80s. The book talked about what was going on at the time and how movies once celebrated as sleepover musts are now revered as essential entertainment time capsules for those that came of age in the Reagan era. I was slightly too young for that wave of influential filmmaking, though I was in my prime when ‘90s teen classics like Clueless, Cruel Intentions, Scream, and 10 Things I Hate About You were first released and I feel that same sense of protection about them. So I understand why the early buzz around Love, Simon compares the viewing experience to the influential teen movies that came before it. I tend to recoil at films that are so current that they’ll become dated in six months but Love, Simon is a rare exception. It’s a genuine gem that speaks to those navigating high school life now while evoking a palpable sense of wistfulness to audience members like me who so wish they had something as assured and confident as this when they were a kid. Yes, Love, Simon is the kind of truthful message movie I wish I had on VHS on the shelf between The Breakfast Club and Pretty in Pink. Simon Spier lives a pretty good life. His family, his house, his friends, his high school experience all seem like the dictionary definition of growing up without much complication. Yet Simon is more complex than people think. He’s gay and struggling with resolving some inner conflict about that fact but outwardly showing no signs of stress (or so he thinks). The good news is that there’s not a lot of self-loathing on display here so it’s not the torturous experience other films have made the coming out saga to be. He doesn’t hate that he’s gay, he just doesn’t know the right way to say it and risk losing out on future happiness. Surrounded by friends with their own romantic hang-ups, Simon finds a kindred spirit in the form of an e-mail relationship with an anonymous fellow student who is gay as well. Reaching out first as a way to take his own baby steps out of the closest, he becomes closer and closer to the guy on the other side of the e-mail who can’t reveal his identity. Not knowing whom the friend he calls Blue looks like, Simon starts to imagine who it could be. Is it the handsome quarterback that has a sensitive side? What about the pianist for the high school musical? Or could it be the Waffle House employee? When the e-mails are discovered by a fellow classmate and Simon is blackmailed into playing matchmaker or risk being outed, he finds being gay is the least of his worries as friendships, true love, and familial bonds are tested the more he tries to hide who he is. As Simon, Nick Robinson (Jurassic World) is a handsome star in the making that ably carries the weight of the movie on his shoulders. Though he’s Hollywood Leading Man Gay, meaning not too gay, he convincingly plays the conflict without making the journey the least bit maudlin. By presenting Simon as “just like you”, a balance of normalcy is struck that shows the audience that being gay is who you are and not what ultimately defines you. 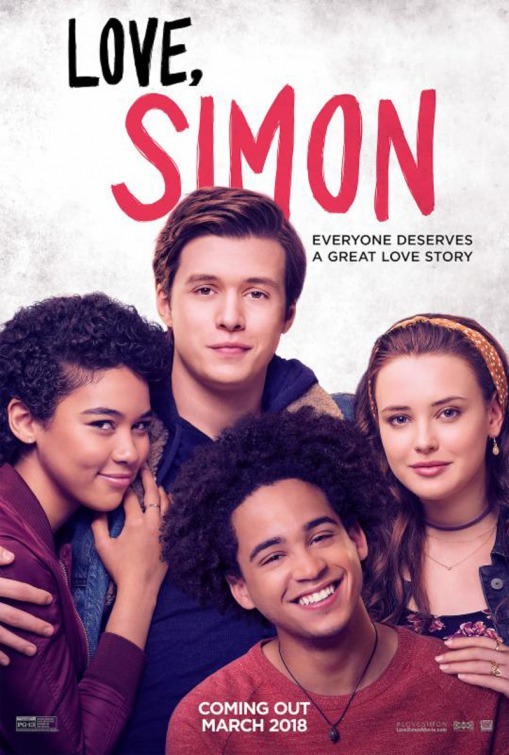 Simon’s friends include Katherine Langford (Netflix’s 13 Reasons Why), Alexandra Shipp (X-Men: Apocalypse), Jorge Lendeborg Jr. (Spider-Man: Homecoming), Keiynan Lonsdale (The Finest Hours), and Logan Miller (Scouts Guide to the Zombie Apocalypse) as a charmingly diverse group that feels like they could be friends had they gone to high school together. Though each have their own secrets that arise during the course of the film, these developments don’t feel forced or simply existing in service to Simon’s coming out rite of passage. The adults in the film wisely say their piece and let the youngsters take the spotlight, but kudos to Jennifer Garner (Dallas Buyers Club), Josh Duhamel (Safe Haven) for presenting understanding but not phony portrayals of Simon’s parents. As the Vice Principal of Simon’s school, Tony Hale (American Ultra) has some good moments and special mention must go to Natasha Rothwell as a drama teacher that hates her job and Clark Moore as an out and proud gay man at Simon’s school that has two of the funniest lines in the whole film. Yeah, let’s not forget that as dramatic as the story arc may be this is still a teen comedy at heart and the film is consistently funny throughout. The parties, the hallway discussions, the afterhours heart-to-hearts, the long walks home, the car rides…all strike a nice balance between sentiment and humor without tipping the scales either way. Adapting Becky Albertalli’s popular YA novel, screenwriters Elizabeth Berger and Isaac Aptaker have played around with some characters and characteristics from the source novel without losing the message of Albertalli’s original work. 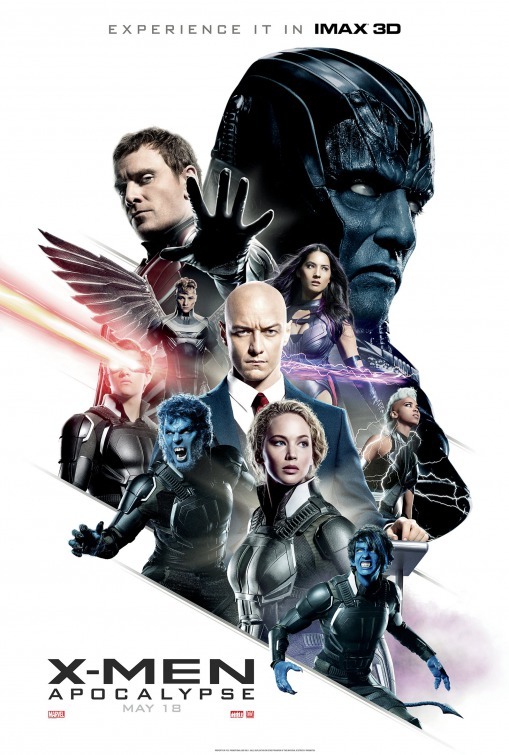 Director Greg Berlanti resists against getting overly saccharine as the film develops and Simon’s secret starts to get out – there’s pain and hurt but laughter winds up making the wounds sting less. If there’s one thing that might keep Love, Simon from achieving long-lasting high rank status it’s that it feels like the fantasy way a coming out story would go. While Simon claims to be just like us in the opening voice-over, can the majority of teens that will see the film relate to a privileged white guy who gets a new car for his birthday, doesn’t seem to have a job but has spending money, lives in an upscale home in the suburbs, and has more than his share of compassionate and understanding family and friends? Also, there’s an uncomfortable value placed on looks – when Simon is scoping the halls for Blue and pondering who he could be he wrinkles his nose in horror at bearded nerds, Game of Thrones loving dorks, and roly poly dweebs. Heaven forbid Blue turns out to be an ug-o. Yet the film ultimately has its heart and message in the right place and any nitpicks are easily shooed away in favor of recognizing the accomplishment at a major movie studio putting out a sweet love story surrounding a gay youth and his friends. It may not live totally in the reality of now but it rhymes with the truth without much discord. Now if people will actually line up to see this…that would be the real victory.